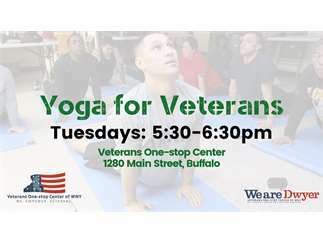 The Veterans One-stop Center of WNY and We are Dwyer offers Tuesday evening yoga, for any and all skill levels including beginners. Our certified trainer places emphasis is on strengthening, stretching, and calming one’s mind. 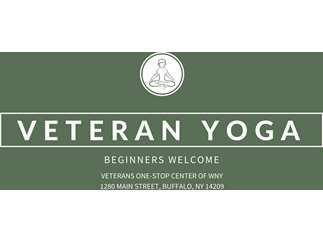 All veterans, and their adult family members and friends are welcome to this free weekly event.